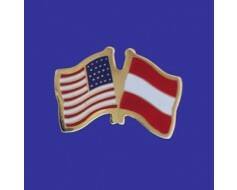 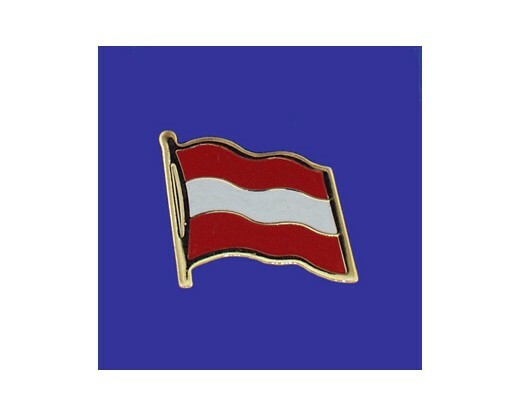 Austria flag lapel pin with clutch fastener for securing to clothing. 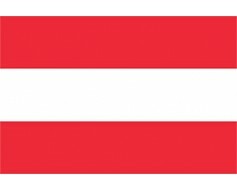 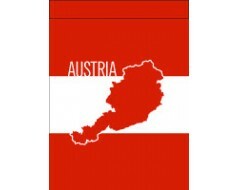 A modified Austria flag for celebrating your heritage. 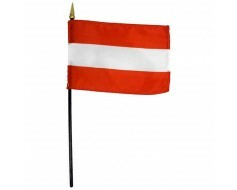 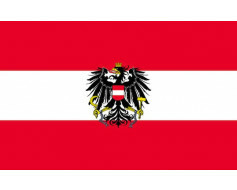 Printed polyester Austria stick flag, attached to a staff.